Baselworld 2014: Zenith Pilot Type 20 Grand Feu. Live Pictures of a Massive 60mm Timepiece. 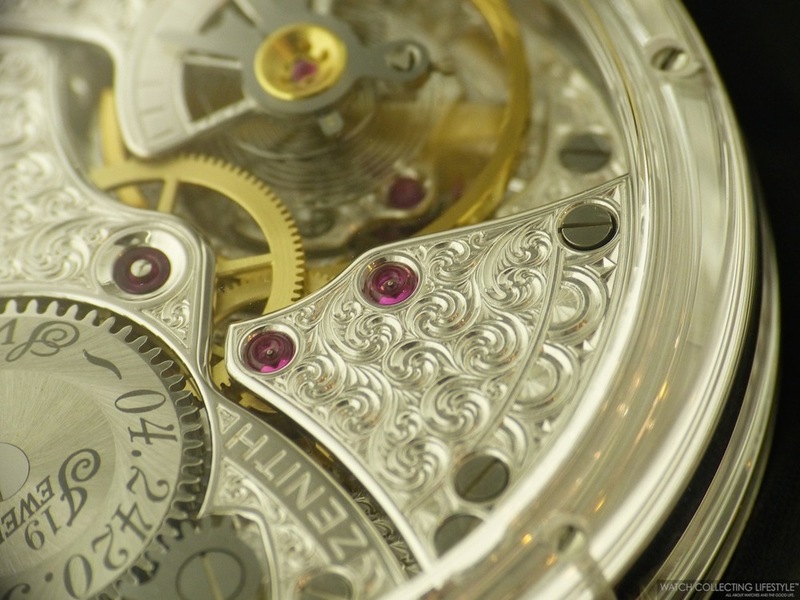 Today, we were able to review one of the most unique and fascinating timepieces at Baselworld 2014 thus far. We are talking about the massive 60 mm sapphire case with white gold bezel Zenith Pilot Type 20 Grand Feu. This massive timepiece with a heritage rooted in the history of aviation is literally carved out of a sapphire and white gold bezel and lugs casing housing a legendary historical movement —El Primero 5011K— that is rounded out by the beautiful 'Grand Feu' enamel dial on it and the perfectly matching black calfskin leather strap with pin buckle. 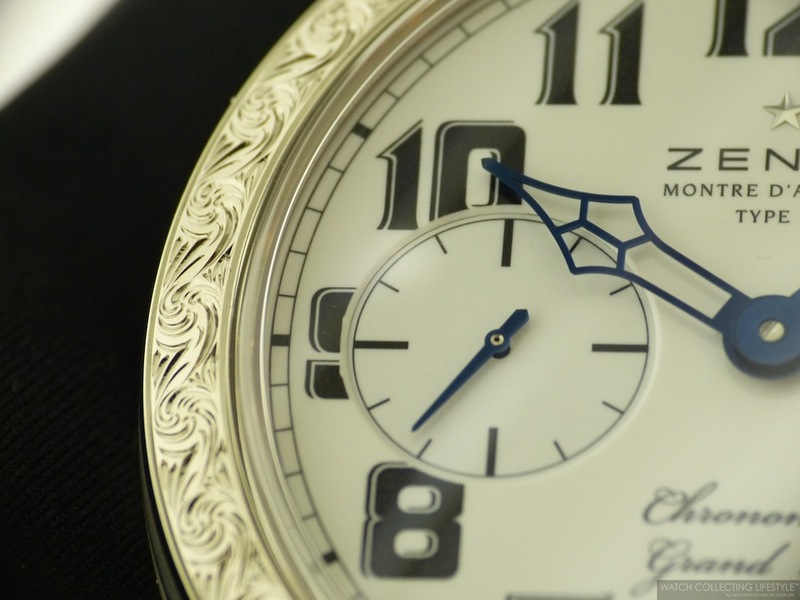 The beautiful white 'Grand Feu' enamel dial features black Arabic numerals, blued hands, a power reserve indicator at 3 and subsidiary seconds register at 9 o'clock. The Zenith calibre El Primero 5011 K is a manual wound movement composed of 134 parts and 19 jewels and which provides a power reserve of 48 hours when fully wound. 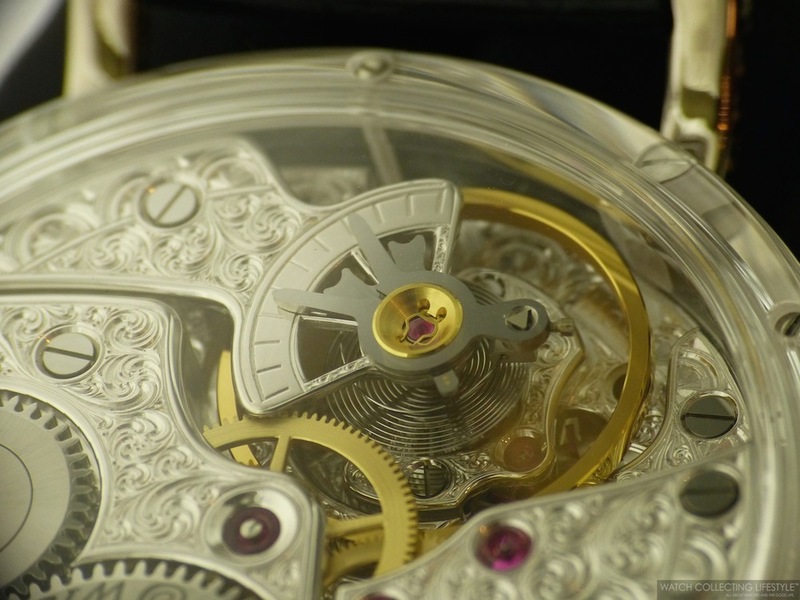 The highly decorated movement is fully visible via the display case back and the sapphire middle case. Perfectly grasping the nature of its exceptional mechanical pedigree implies a brief look back in time and more specifically to 1960, the year when the Manufacture produced a movement that would make its mark on history: Calibre 5011K. Beating every existing precision record in its category – Neuchâtel Observatory awarded it the title of the most precise chronometer ever presented – this mechanical movement that became a legend was to equip marine chronometers and pocket watches. A small number of original 5011K calibres, found in the archives of the Manufacture, have been updated and remarkably decorated to now find their place in several Pilot Type 20 models consistently issued in extremely limited editions. The new Pilot Type 20 Grand Feu is equipped with this historic original movement. 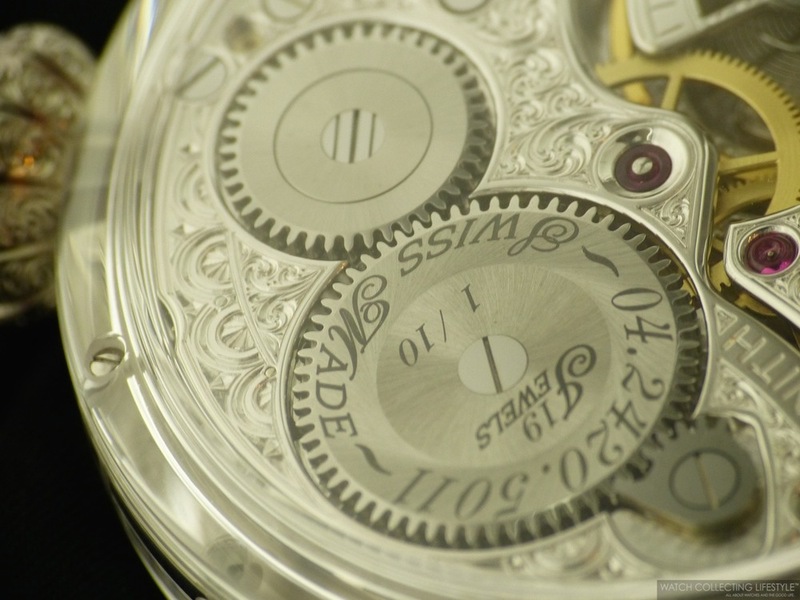 The middle case and the transparent case-back afford ample views of this mechanical manual wound 5011K movement. Its 60 mm diameter provides scope for exceptional finishing. 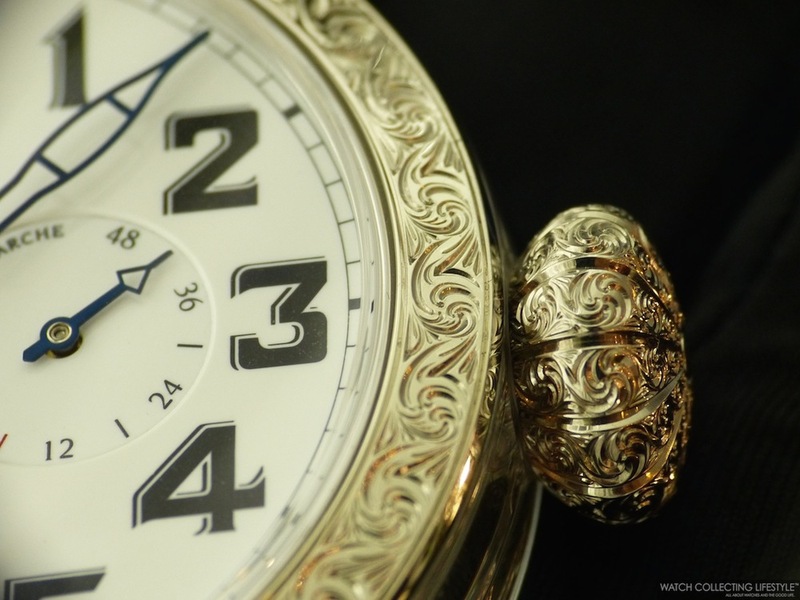 Entirely hand-engraved and chased by remarkable artisans, the sides and back of the movement —as well as the gold lugs and bezel— are adorned over their whole surface with intricate scrolled and garland-like motifs reflecting the spirit of traditional Fine Watchmaking. A miniature work of art displaying breathtaking finishes. 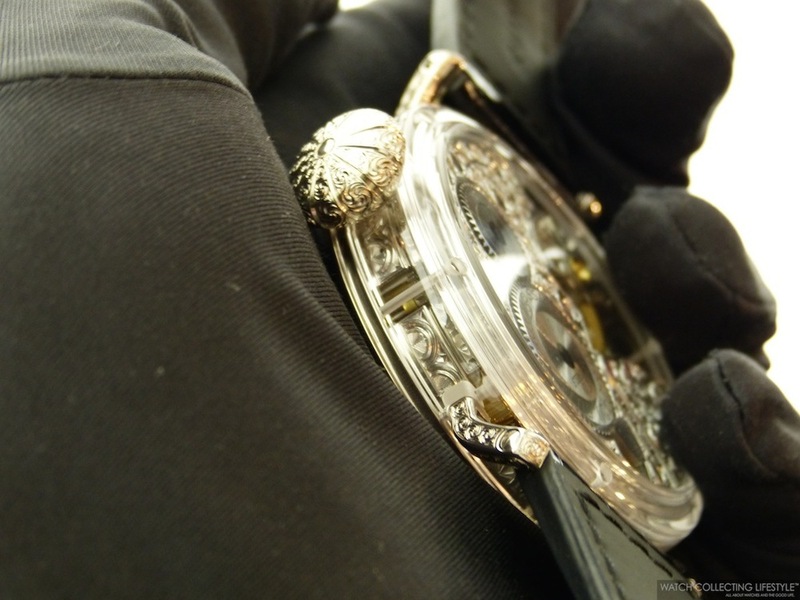 Oscillating at a rate of 18,000 vibrations per hour, Calibre 5011K also features shock-absorbers on the balance-staff and on the escapement, fine adjustment as well as a self-compensating anti-magnetic Breguet overcoil balance-spring —a set of attributes contributing to its first-rate performances while detracting nothing from its resolutely vintage spirit. This amazing timepiece is only available in a limited edition of 10 pieces and one needs to see this watch in person to really understand how big but beautiful is this watch. On the wrist, this watch is just massive and top heavy, definitely a piece that will get a ton of attention but really not practical at all for every day way. Definitely a watch reserved for a very 'special occasion'. Sticker Price TBC. For more info on Zenith click here. Posted on March 27, 2014 by Editor & Publisher and filed under Baselworld, Zenith and tagged Zenith Pilot Type 20 Grand Feu Zenith Calibre 5011K.